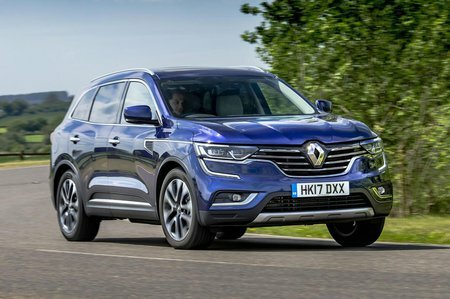 Renault Koleos Performance, Engine, Ride, Handling | What Car? Despite being based on the Nissan X-Trail, the Koleos shares few driving characteristics with its Japanese cousin. 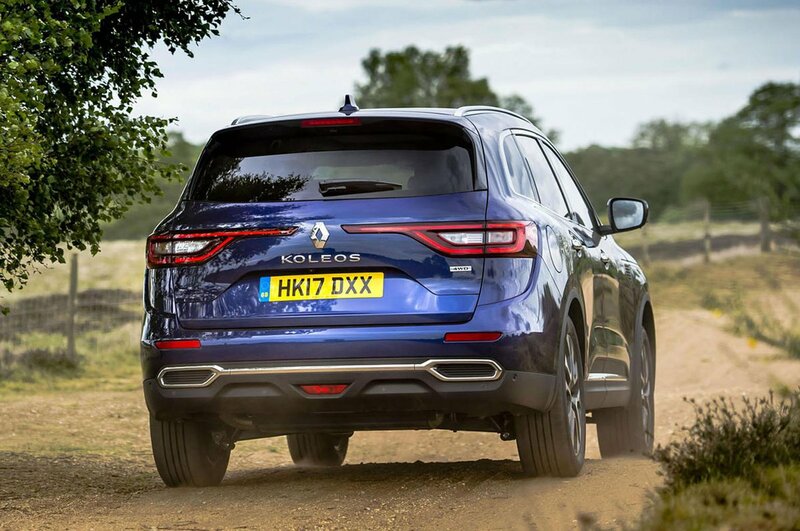 For a start, it feels less comfortable because the ride – particularly with 19in wheels fitted – is at times unforgiving; there’s a lumpiness over potholes in town that rivals, such as the Peugeot 5008, would better smooth out; and even at higher speeds, the Koleos picks up on ripples and ridges that fidget you in a less-than-seemly fashion. It’s a shame, because it deals with more gentle crests and dips quite comfortably. And, along with not keeping you that well soothed, the suspension is pretty noisy, too. The light steering makes for effortless manoeuvrability around town and firms up nicely on the motorway so you can keep it centred easily in a lane. However, for a bit of extra confidence along a twisty B-road, some added feedback through the wheel rim, along with more progressive weight build-up, would be welcome. While you can place the nose of the Koleos precisely, there is more body lean that you’d get in rivals. This can make the car feel cumbersome, especially if you have to change direction quickly. If you enjoy driving, you’d be much better served by the Mazda CX-5. Two engines are available: Renault’s 1.6-litre dCi 130 and a more powerful 2.0-litre dCi 175. With 128bhp, you’d be forgiven for thinking that the smaller diesel would feel rather underpowered in a large SUV. Actually, with plenty of low-end pep, it manages to be relatively breezy around town, with just about enough in reserve for motorway excursions. Indeed, having tried the more powerful 173bhp diesel twinned with the optional CVT automatic gearbox, we were a little underwhelmed. When you’re up and running, it’s adequately brisk; but if you’re trying to overtake on a country road, you’ll still be needing a surprisingly big gap to make it safely past. Most infuriating is the gearbox’s hesitancy off the line. It makes pulling out of junctions an exasperating experience, as it ever so slowly winds itself into action. Hopefully, the standard six-speed manual 'box will sharpen it up but, so far, we have yet to try it with the 2.0-litre. When you accelerate, there’s a perceptible amount of buzzing through the pedals and steering wheel, while on the motorway road noise is pronounced, combined with a flutter of wind noise from those large door mirrors. If you want four-wheel drive, then you’ll have no option but to buy the bigger engine: it comes by default, while the 1.6 is front-wheel drive only. With a reasonable amount of ground clearance and a locking differential, it should see you across rougher stuff better than some more road-biased rivals – the Kodiaq and Peugeot 5008 being two – but the Koleos is still no Land Rover mud-plugger. All manual versions can tow a two-tonne trailer, while the automatic drops that down to 1650kg.